Wedding lighting guide with everything you need to know about lighting for weddings and special events! 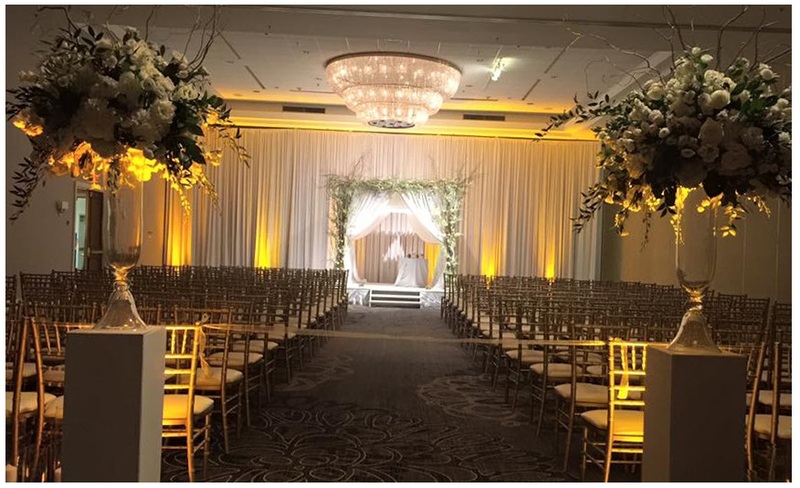 Wedding lighting is one of our favorite types of wedding decor, because it really adds a "wow" factor. This lighting guide will provide lighting terminology, an overview of wedding lighting techniques, how-to tutorial for setting up wedding lighting. Read below to learn more from our wedding lighting guide. 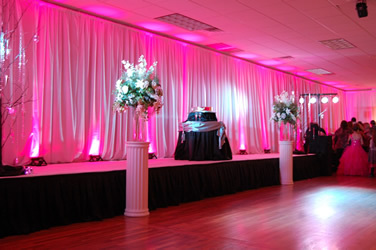 Uplighting is one of the most popular types of wedding lighting. 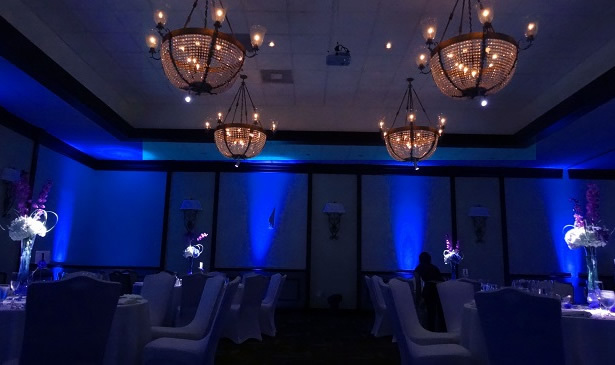 Uplighting adds ambiance to a venue by adding splashes of colorful light to the walls. This is a great way to set the mood or transform a room. Each uplight covers the wall with color from floor to ceiling. Choose just about any shade of any color using buttons on the lights. Uplights can be linked together with power cords using a single outlet. Or, use wireless uplights, which are powered by built-batteries. Setup: Place the uplights around the perimeter of the room, on the floor, up against the wall. The uplights will shine up the walls, from floor to ceiling. 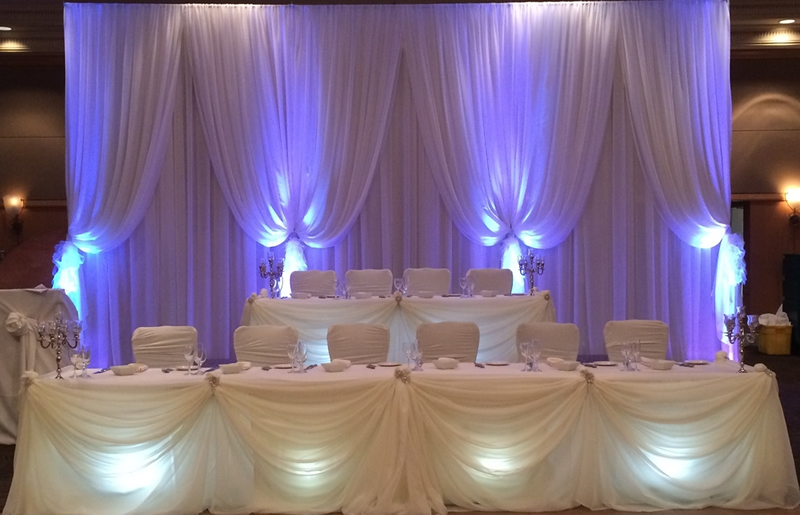 Cost: The typical rental cost of DIY uplighting for a 100-guest wedding is about $100 - $200. 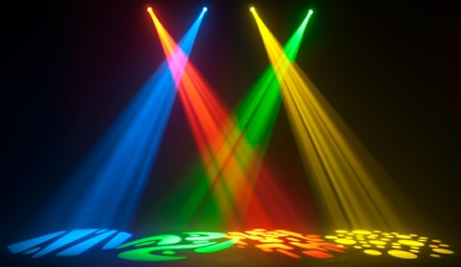 For maximum effect, place uplights around the entire venue, spacing them 5 – 10 feet apart. 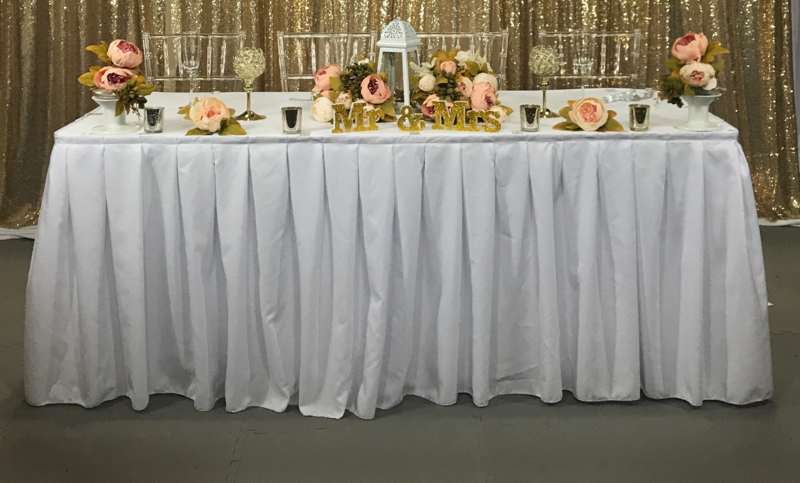 For subtle accent lighting, we recommend placing one uplight in each corner, and two uplights behind the head table or cake. Monogram lighting is another popular wedding lighting technique. This is also referred to as a gobo. Monogram lighting is a great way to personalize a wedding. You can put names, monogram, logos, or any other message in lights. 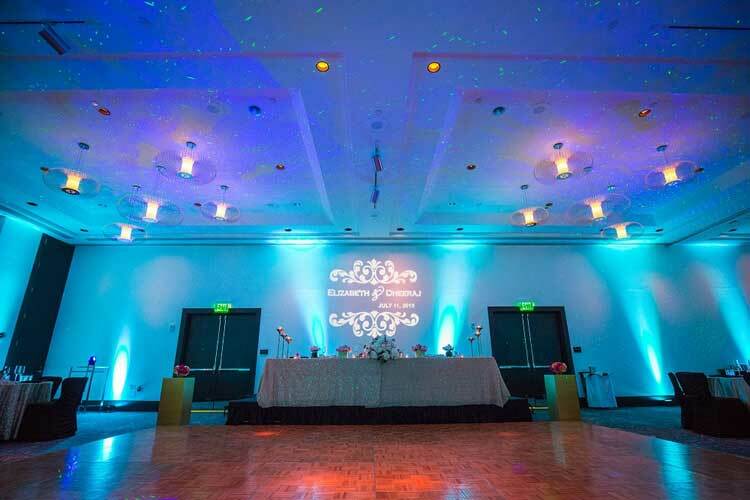 Display the monogram lighting on a wall or dance floor. Setup: All you need to do is plug it in, set it on a table, and point it at a wall. Cost: The typical rental cost is $100 for DIY monogram lighting. 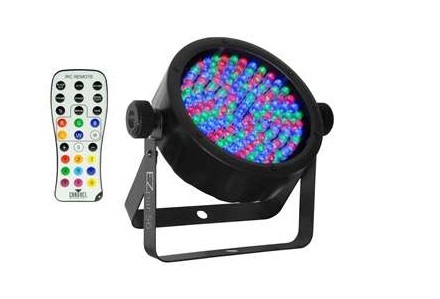 The package typically includes a custom design, gobo disc, and projector. When the projector arrives, it is pre-loaded with the custom design. Texture or pattern lighting is a beautiful way to dress up any venue. Choose any pattern, such as flowers, vines, abstract shapes, etc. Project the patterns onto a wall or dance floor. This is a great finishing touch and adds dimension to the room. Texture lighitng is created using a gobo. Cost: The typical rental cost is $149 for DIY pattern lighting. 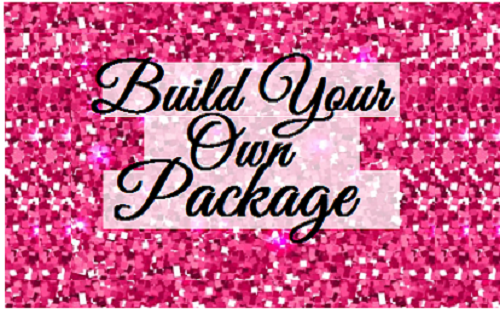 The package typically includes a custom design, gobo disc, and projector. 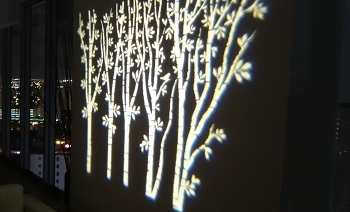 When the projector arrives, it is pre-loaded with the custom design. Starry night lighting creates a realistic night sky effect, which is perfect for an ambiance of dining and dancing under ths stars. Thousands of slowly moving, brilliant green laser beams glide in different directions to create the look of stars. It also includes a holographic blue nebula cloudfield that can be turned on or off to create a the effect of clouds. Setup: All you need to do is plug it in, set it on a table, and point it at the ceiling or wall. 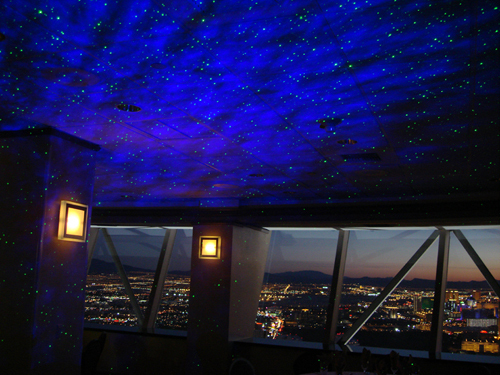 Cost: The typical rental cost is $99 for the starry night lighting. Cake spotlights are used to illuminate the wedding cake. This is a great way to make your wedding cake "pop." Cake spotlights are small, battery-operated white lights. The cake will be beautifully highlighted as a focal point for the room. 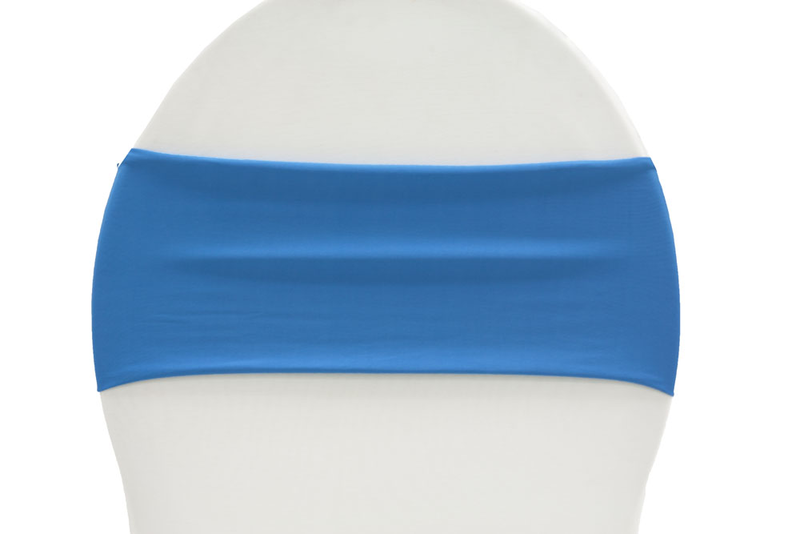 Cake spotlights are also commonly referred to as pinspotting or pin spotting. Setup: Place the light on a table or mount to ceiling, then aim it towards the cake. Cost: The rental cost is approximately $20 for cake spotlighting. Centerpiece spotlights are used to illuminate -- you guessed it -- centerpieces! This is also commonly referred to as pinspotting. Centerpiece spotlights illuminate the florals and make them a focal point for the room. 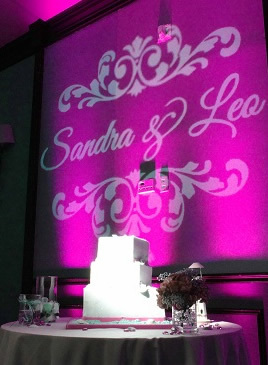 Cake spotlighting is created using small, battery-operated white lights. 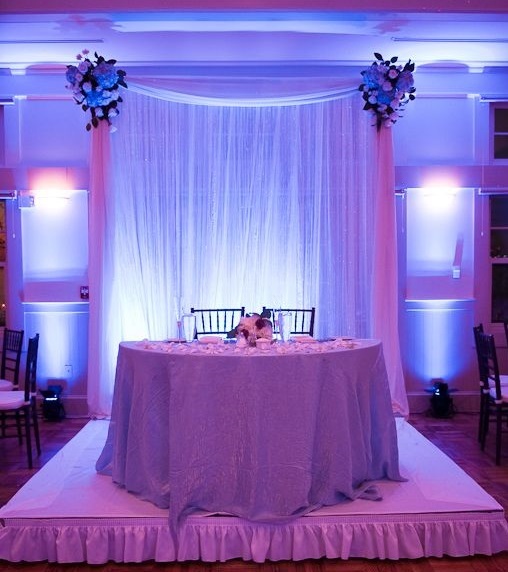 Setup: Place the light on a table or mount to ceiling, then aim it towards the centerpieces. 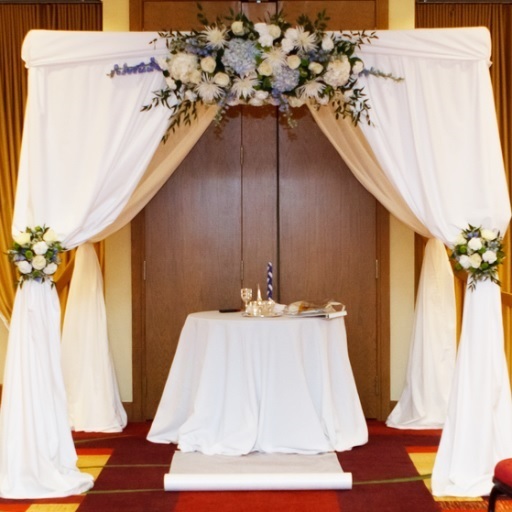 Cost: The typical rental cost is $12 for centerpiece spotlights. Water effect lighting creates the look of flowing water and waves on any surface. 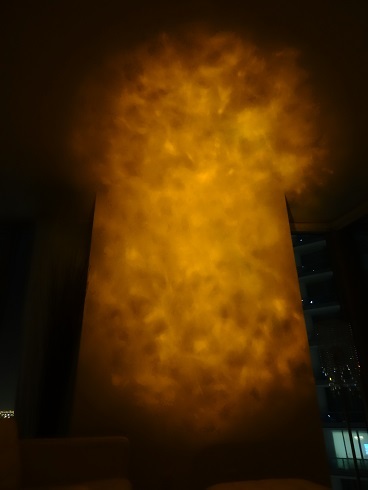 The water effect can be projected onto walls, ceilings, or dance floor. 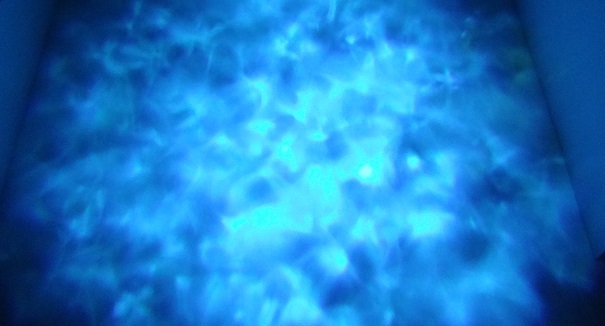 For a true water effect, set the light to blue. Otherwise you can also choose from a variety of other colors to create a unique colorful lighting effect. Setup: Just plug in the water effect light, set it on a table, and point at any surface. Cost: The rental cost is typically $89 for a water effect light. 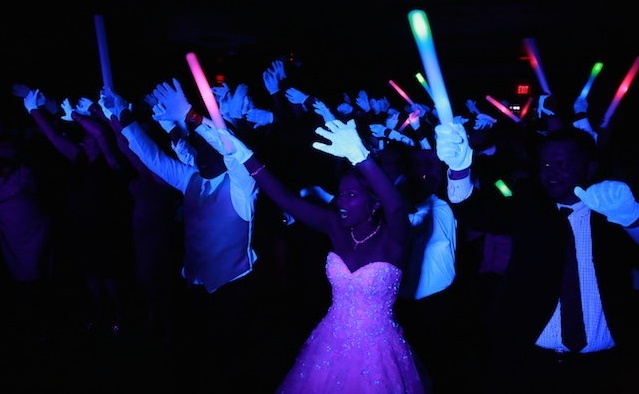 Black lights are used to create a glow party effect. 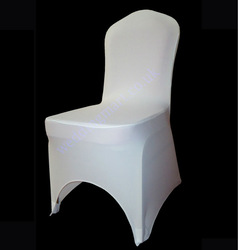 Reflective surfaces and anything neon or white will glow under the black lights. 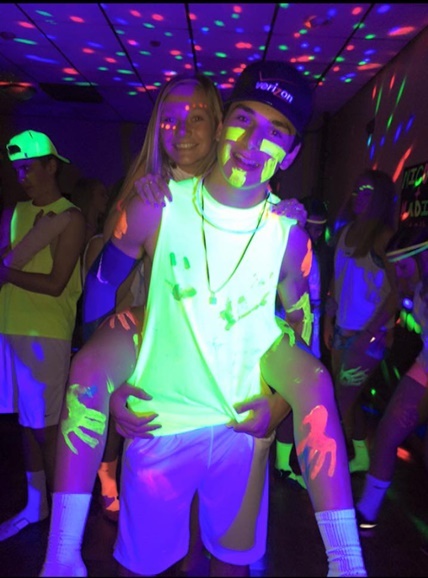 Blacklights are also referred to as UV lights. Setup: Plug in the light, set on the floor, and point at the area you want to glow. Cost: The typical cost is $99 for a black light that covers 60 feet by 60 feet. Photo above courtesy of www.NJ.com. 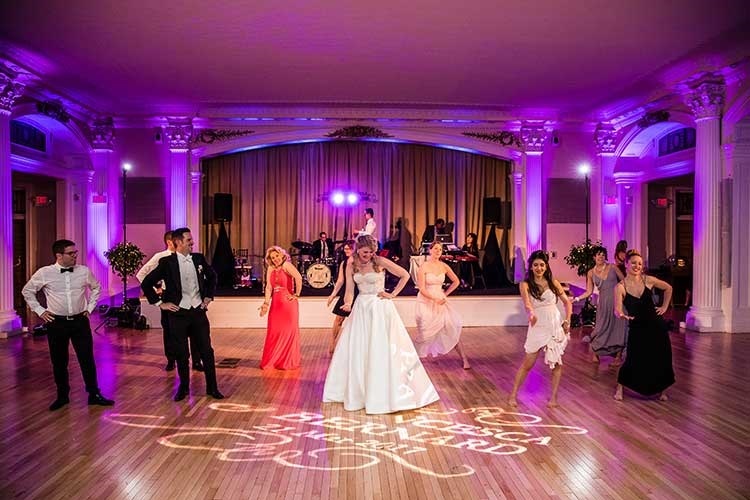 Looking for inspiration and resources about wedding lighting? Here are our recomendations for top wedding lighting resources. 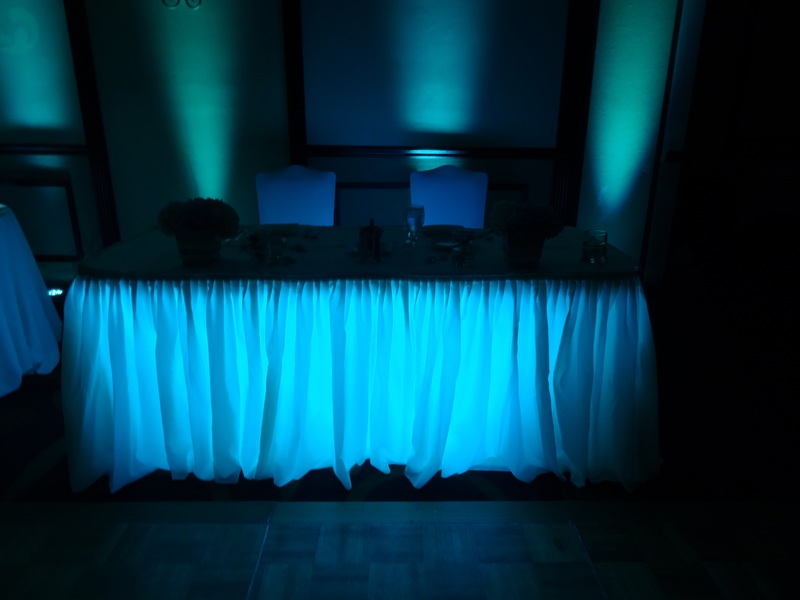 Check them out to learn more about wedding and reception lighting. LIGHTING INSPIRATION: Bridal Guide | "15 Ways to Light Up Your Wedding"
BUDGET LIGHTING TIPS: The Budget Savvy Bride | "DIY Wedding Lighting"
Wedding lighting guide with everything you need to know about lighting! 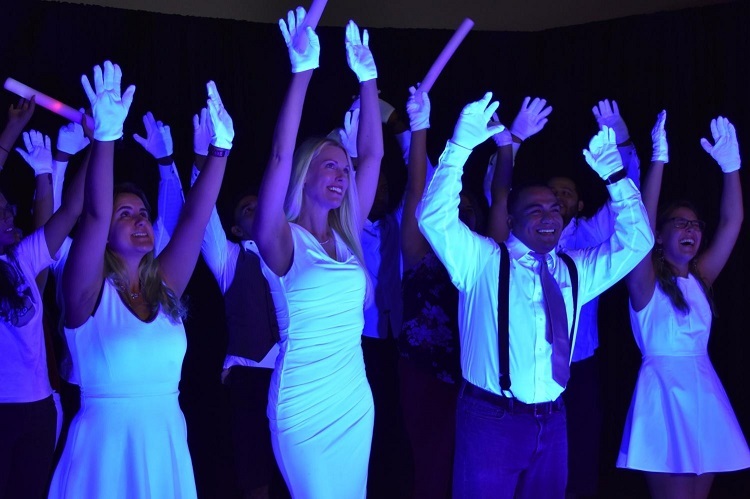 Thanks to new technoloyg, it is now possible for couples to setup their own wedding lighting - no experience required. All you need to do is renting lighting online and follow a few simple steps. 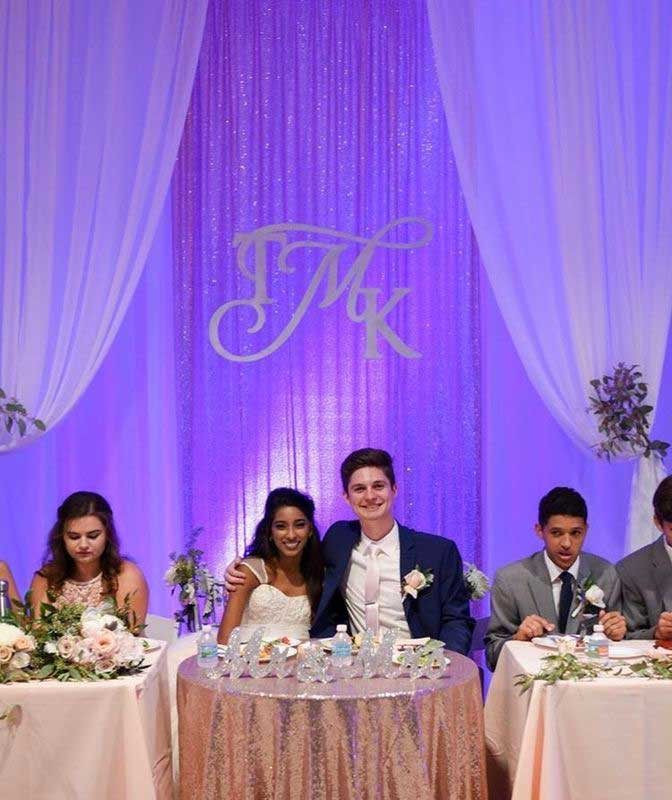 You can setup wedding lighting for the entire venue in under an hour. Be sure to check out our YouTube page for video tutorials and more information about wedding lighting. 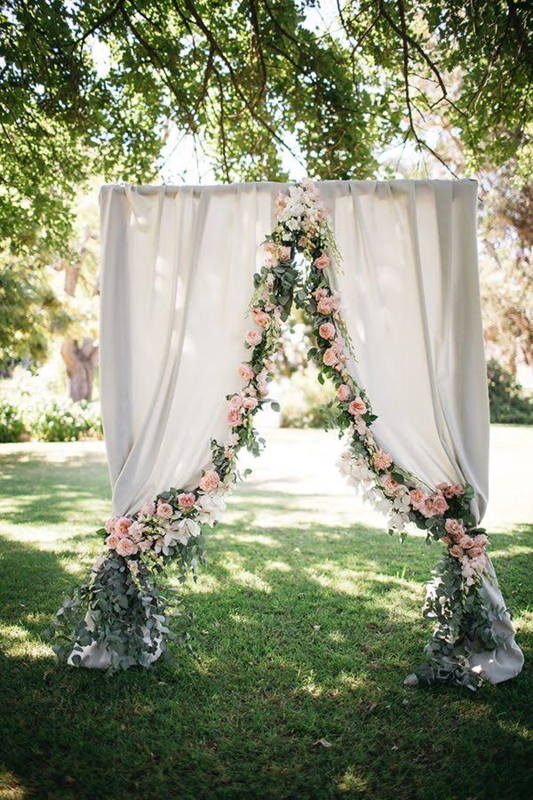 We hope you enjoyed our wedding lighting guide!